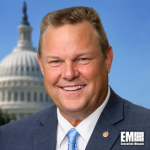 Sen. Jon Tester (D-Montana) will serve as a ranking member on the Senate Veterans Affairs Committee next year and succeed Sen. Richard Blumenthal (D-Connecticut), Military Times reported Wednesday. Leo Shane writes Tester, a ranking member on the Senate Appropriations’ veterans affairs subcommittee, will be positioned as a top Democrat candidate that can impact president-elect Donald Trump’s plans for VA reforms. “Veterans from Montana tell me they have frustrations getting in the door, but once they do it’s the best damn health care,” said Tester. Tester hopes that lawmakers can pass the pending Veterans First Act next month and added that discussions on privatization of operations will be a top focus on work with the next administration. The report noted that Trump has promised to expand outside healthcare options for veterans throughout his campaign and added he will not privatize any existing department operations.